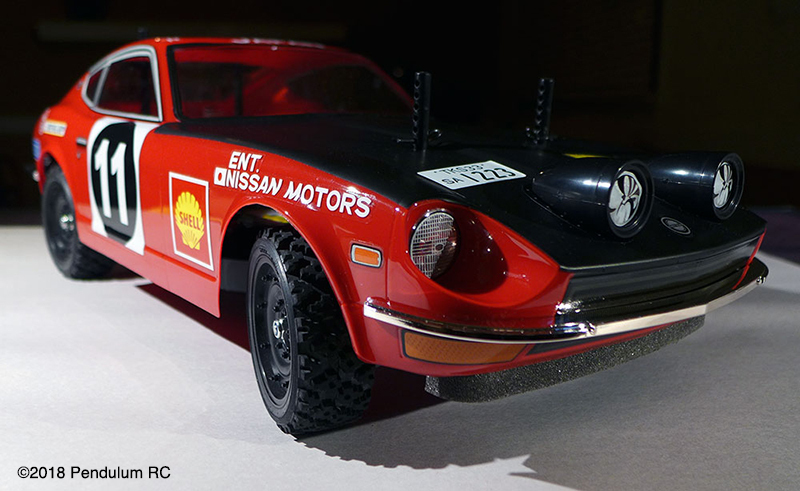 Builder: Pendulum RC Kit: Tamiya DF03-RA Body: Tamiya Datsun 240Z Rally. 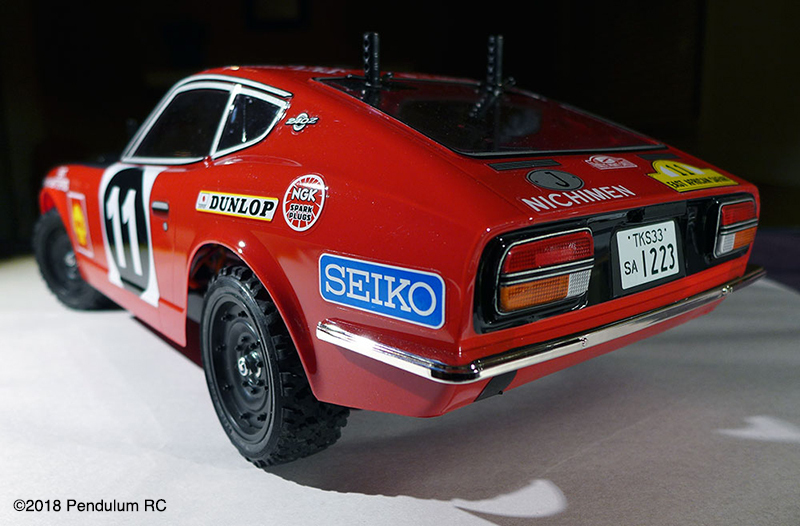 Theme: Rally car. 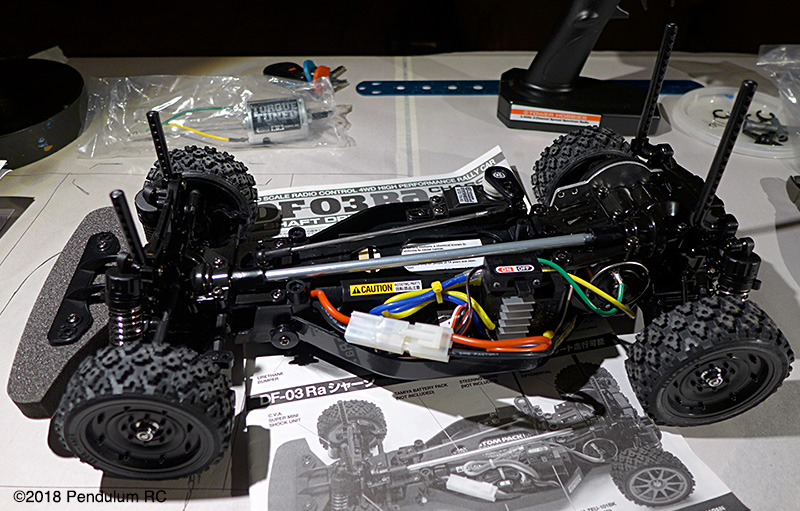 Upgrades: Tamiya-Mabuchi RS-540 Torque Tuned Motor. 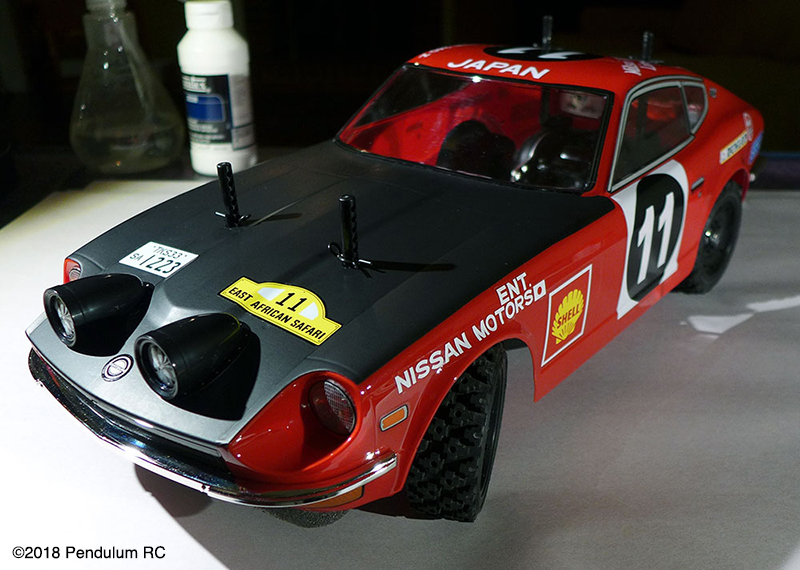 Notes: Body painted in Tamiya PS-2 Red and PS-5 Black. 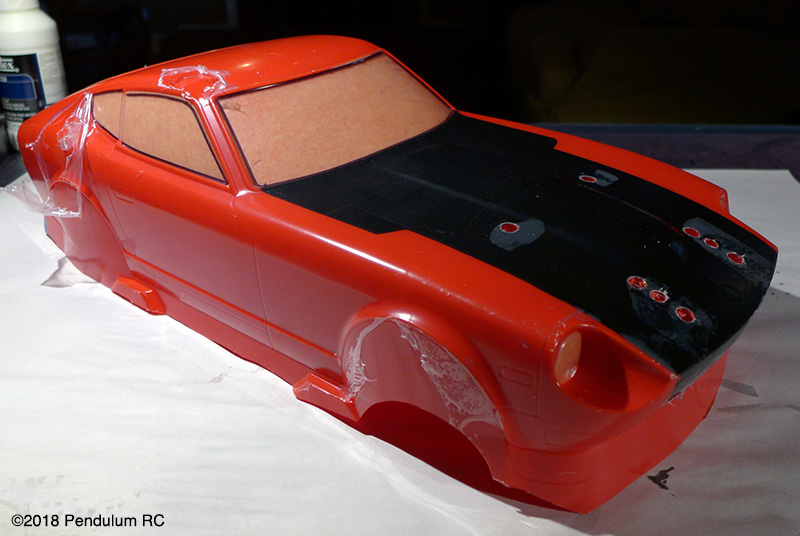 3M matte black vinyl auto wrap installed on hood.